Torremolinos began its tourism boom in the 60’s. Since then it hasn’t stopped growing and adapting to the modern era, improving each one of its beaches and seafront promenades. 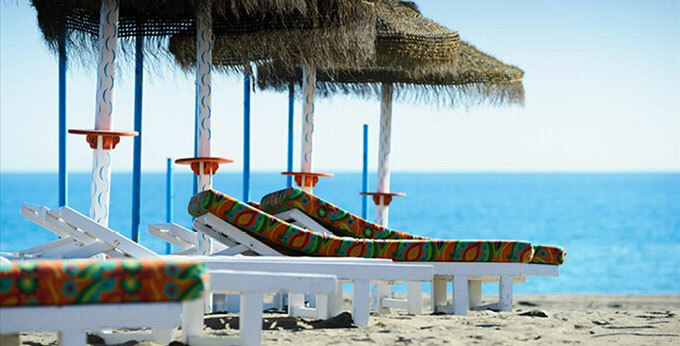 In Torremolinos we’ll find long, fully equipped beaches for the tourists, plenty of beach bars and pubs along the seafront and a daily cleaning service so we always find the sand in perfect condition. La Carihuela district offers several quality beaches that reach up to the beach called El Remo. This area is one of the most well-known in Torremolinos. What was originally a small fishing neighbourhood, is now today a popular tourist location for mainly British, Germans and Dutch. The beaches in La Carihuela are very popular during the high season and its seafront has many shops, restaurants and ice cream parlours to enjoy this area both by day and by night. Bajondillo is situated in between the beaches in Playamar and La Carihuela and it’s a typical Mediterranean beach; the Bajondillo beach has a great width and a seafront promenade with plenty of shops, restaurants and beach bars. Bajondillo beach can be accessed walking from La Carihuela or from the centre of Torremolinos (San Miguel street), going down some stairs that we’ll find if we head down towards the south. Next to La Carihuela and its beaches, we’ll find the beaches opposite Montemar, right from the Remo square onwards. The first thing that will draw our attention are the different green areas with palm trees and grass where we can lay our towel, an ideal place for those who don’t really appreciate the sand. 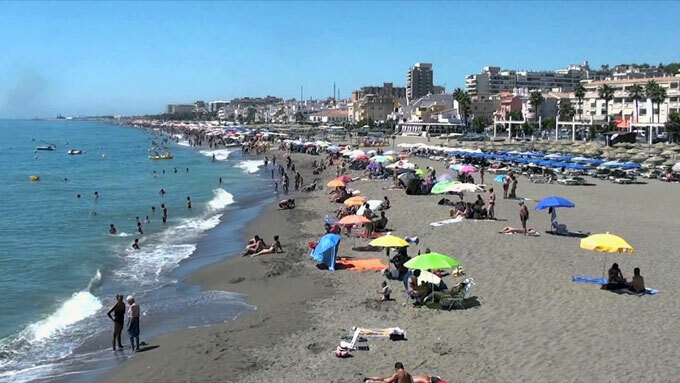 These beaches opposite Montemar do have a seafront promenade although without shops; however, the beach bars extend all along the Torremolinos seafront. Right outside the Los Alamos urbanisation we’ll find the beach with the same name, with fine sand and wide areas. It offers jetski rental, parking and public showers. This beach is located passing the Pez Espada Hotel next to to El Remo beach. It’s a very popular place amongst the local surfers and has plenty of restaurants, hotels and bars nearby, as well as the Benalmadena port. Saltillo beach offers all kinds of services such as easy access for the disabled, rubbish bins, children’s playground, a volleyball net and sunbeds to hire. Situated in Playamar, on the western side of Torremolinos and opposite a hotel with the same name. It’s a very popular area amongst the local youngsters all year round. The beach offers parking, green areas with palm trees, showers, rubbish bins and all the minimum services that you would expect from a tourist beach like this. Thosw who plan to spend a splendid day on this beach, will be able to choose from a wide variety of beach bars and restaurants in the Playamar area.